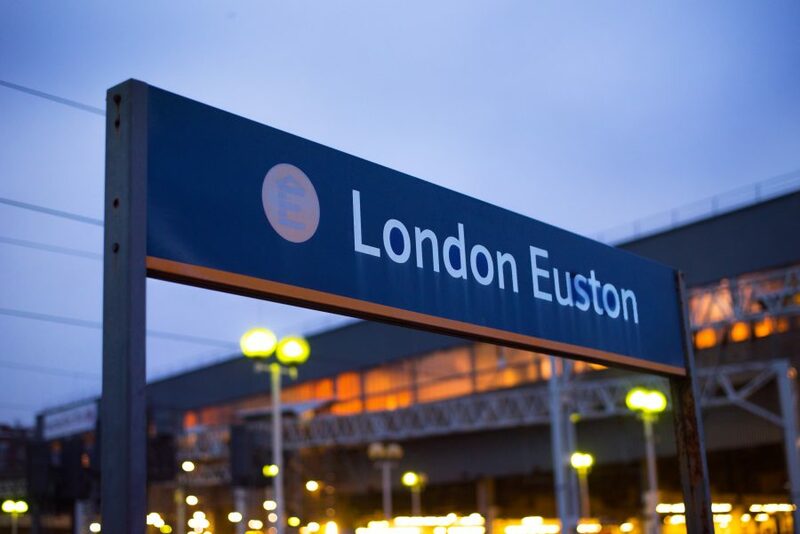 It feels like a lifetime ago – yet only seven days ago I was in the midst of experiencing several small panicking sessions as it seemed train after train was late or cancelled as I tried desperately to make my way to London Euston. The last panic of the trip came when the trusted Waterloo to Euston line was closed and I found myself staring at the tube map in disbelief and wondering just how on earth I was going to make it in time to the most important step of my journey – the legendary Euston to Inverness Caledonian Sleeper. You read those hashtags – the #Ihavethisthingwith ones – and never, ever did I think when I was younger that my own “thing” would be trains. Not run of the mill trains [sorry, run-of-the-mill trains] but special ones – and I blame far too much Poirot for that. I have a particular soft spot for Steam Trains and trains with a history. 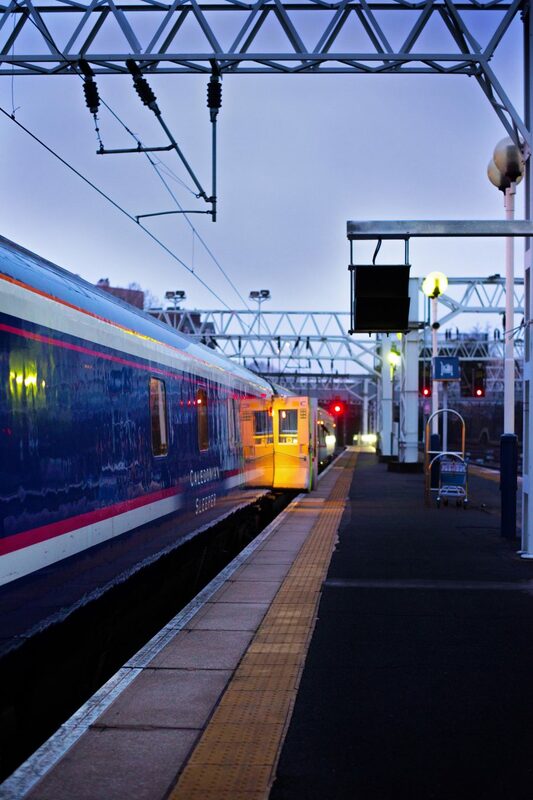 The train I was about to board travels the most beautiful route on its way to Scotland, and there aren’t many people I’ve met who have never heard of the Caledonian Sleeper. 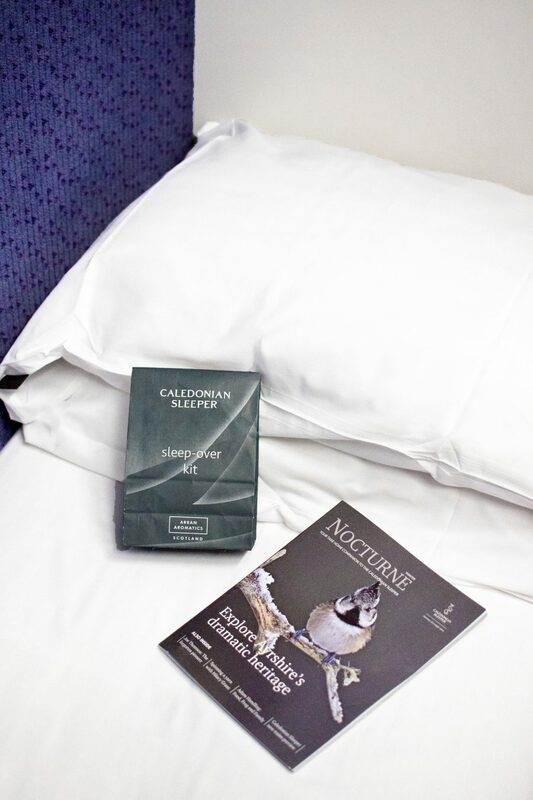 When I told people I was travelling first class on the Sleeper, everyone wanted to know what it was like, would I recommend it and would I do it again, was it an easy journey – and so on. I wasn’t sure what to expect myself, and so here’s my little story. I made the journey with Mel of Le Coin de Mel from Euston to Inverness on our way to Eagle Brae in the Scottish Highlands. 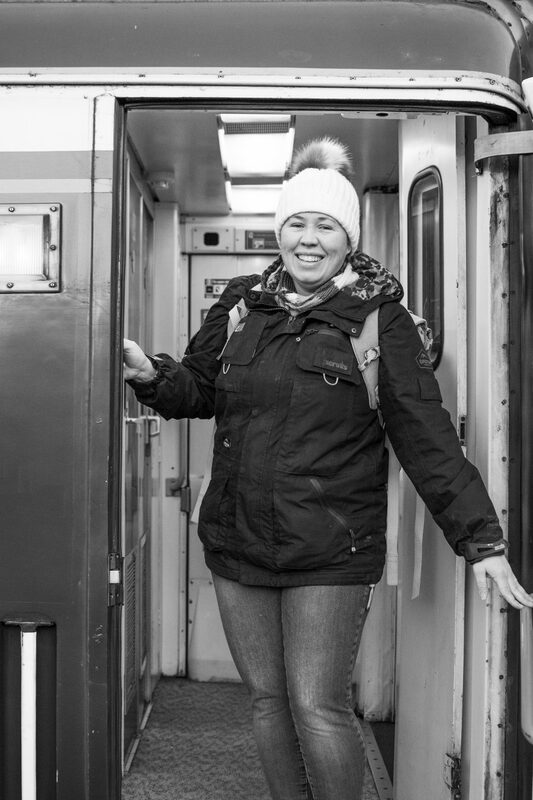 Mel dislikes flying and I love trains, and so we were invited onboard to experience a different way of travel. It was so lovely not having a luggage restriction, and even lovelier to discover that if we had any trouble with bags, they would be delivered to our carriage from the platform. We met underneath the departures board at Euston, headed for Starbucks [after I’d eaten a burger as big as my head, but I didn’t tell Gav that] and coffee in our hands, we wandered to platform 15 talking about lenses. Yes, lenses. There aren’t many people I can talk about lenses so animatedly with, so I make the most of it. Haha. When we made it to the platform, we were directed towards the train and instead of the usual rush, push and crush of the daily grind, this was so relaxed – and whereas I’m often trying to find a train guard to ask if I’m in the right place, headed for the right carriage and so on, we were met by a well-dressed member of the train and guided to our carriage. Mel and I were in our own cabins onboard but a kindly couple let us switch so that we had adjoining rooms. We were happy train passengers. No sooner had we taken off our coats and cheered at arriving and boarding without a hitch, than we were met with the person who was taking care of our cabins for the journey and offered a choice of breakfasts – we both chose smoked salmon and scrambled eggs from a long list of choices and opted for a 7am breakfast as we were due to arrive at 8.35am. Inside each cabin are a single bed [bunkbeds if sharing], a little desk which flips up to reveal a sink, and a tray in the wall which acts as a breakfast in bed table, which was just blissful. 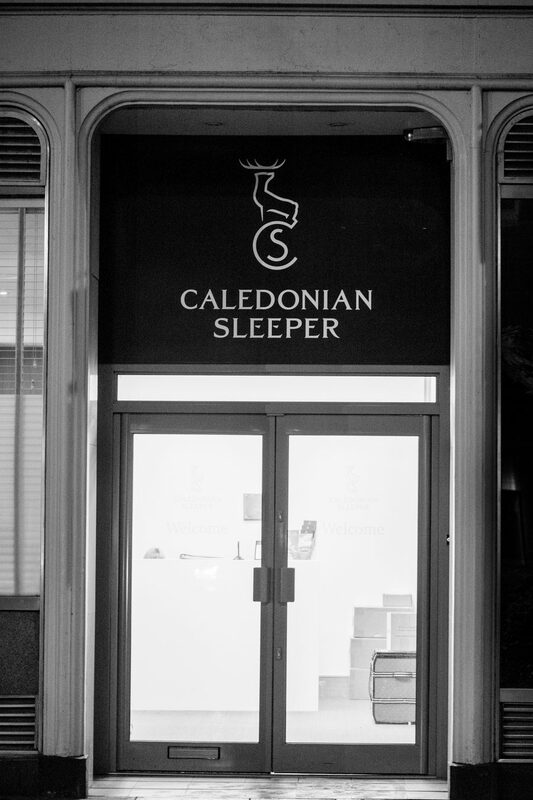 There’s bottled water and a little Caledonian Sleeper Sleep parcel – shampoo and conditioner, face cloth, sleep mask and pillow spray. 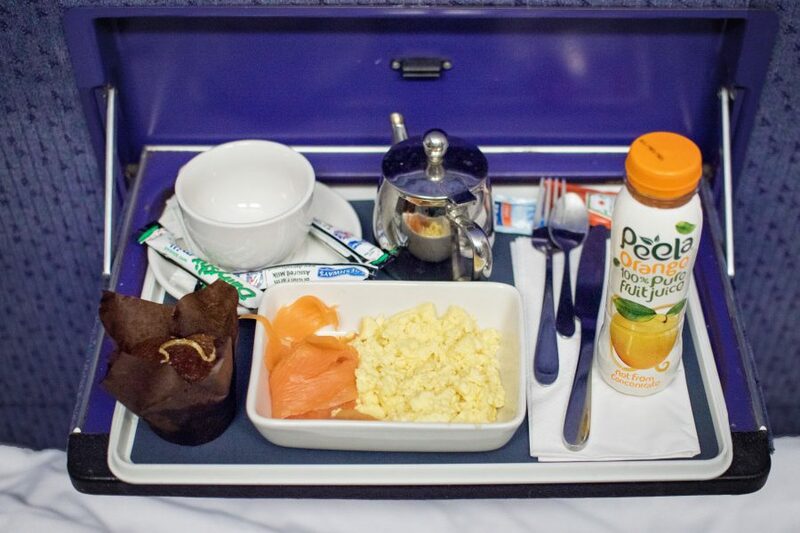 It was such a lovely surprise – as was having our breakfast delivered to us in our cabin the following morning! 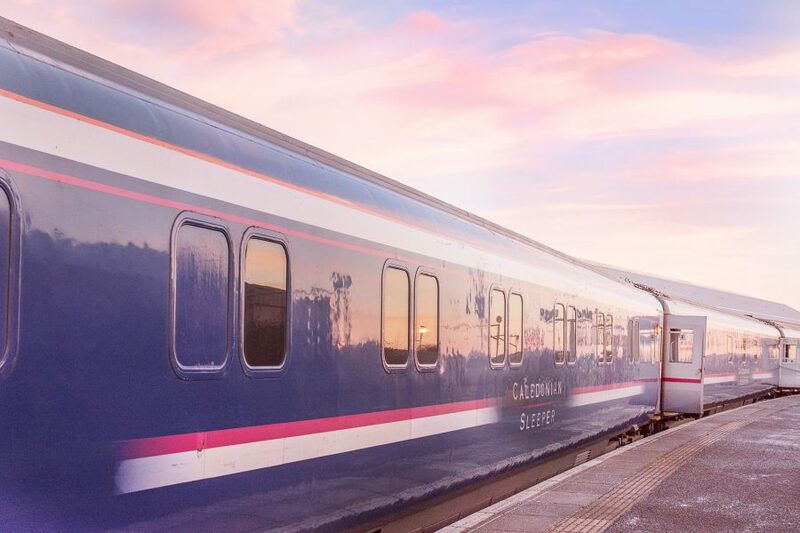 The only regret I have about the journey is that as it’s Winter, sunrise and sunset times meant that we weren’t able to see the beautiful countryside we were passing through – although the sky in Scotland has to be the prettiest I’ve ever seen. 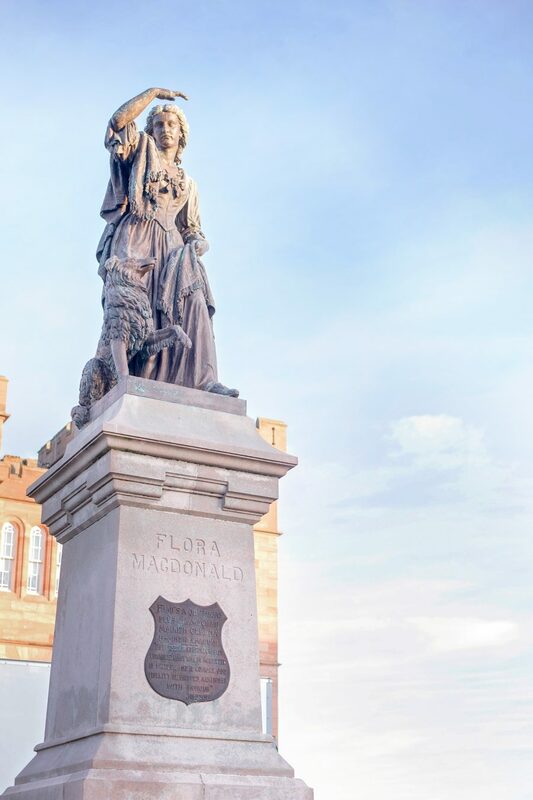 Cotton candy pink and pale blue – the colours in the photographs here have not been altered or increased, it was just beautiful light. So, hours into our journey and we chatted into the night, slept at about 1 am, and rose for breakfast delivery at 7 am. Then we prepared to exit the train, hearing temperatures of -8 and -11 on the way there. 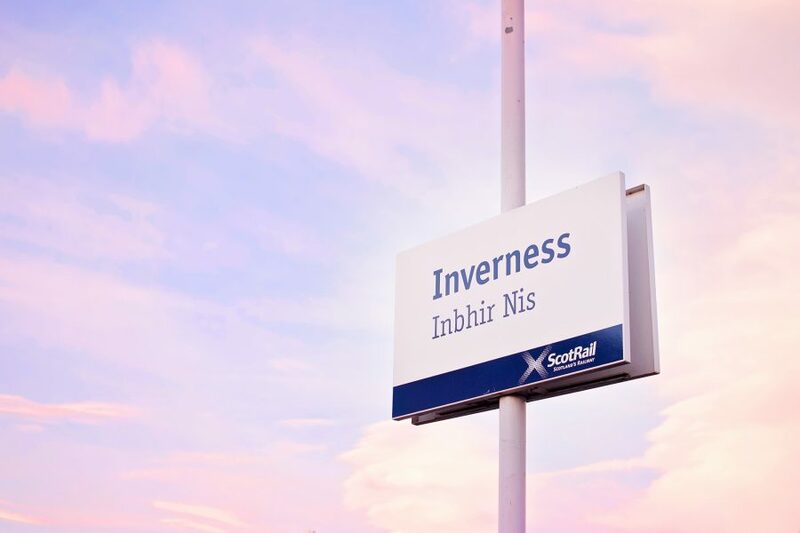 We arrived in Inverness at 8.36am and bundled in a total of five layers plus weatherproof coat and hat, we disembarked from our carriage, ready to brace ourselves for the walk about town, into the not-at-all-that-cold climate of Inverness. For a moment we just stood there, expecting to be hit by the cold in a somehow delayed fashion. 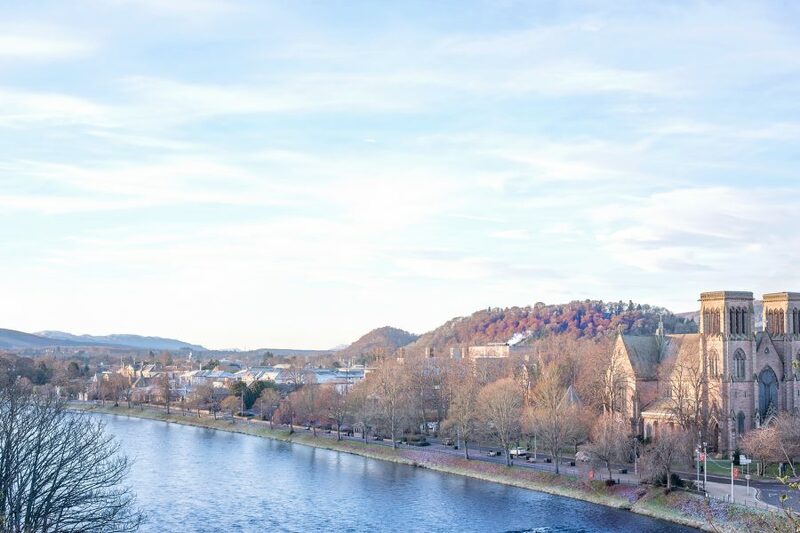 After we realised that we weren’t about to grow tiny icicles off our cameras, we headed to the luggage lockers and went in search of coffee and a wander around Inverness before we were joined by the others for a food shop and trek to Eagle Brae, to begin our adventures. 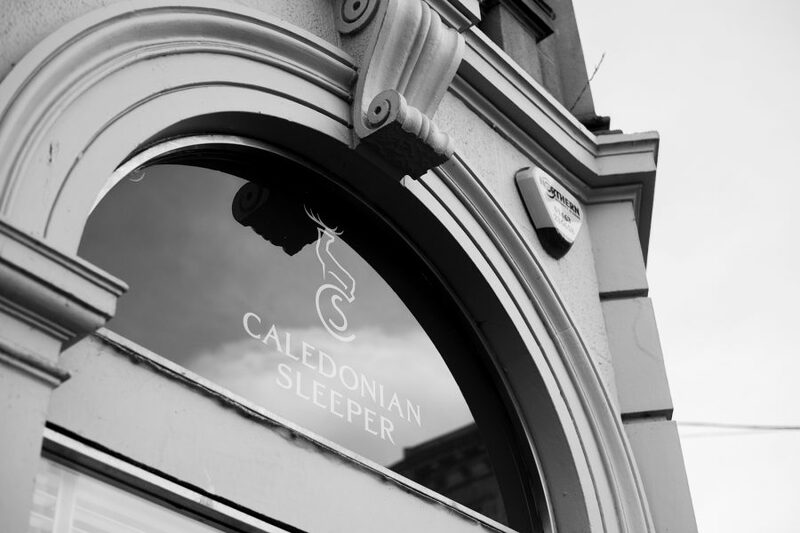 Our return journey was just as excited although a little less joyous for me as I had the ridiculous trek from Euston to home to make, but we discovered the exclusive Caledonian Sleeper lounge across the road from the station. Inside we were welcomed and quite honestly mothered by the lovely ladies who were working inside, as they offered us a huge range of snacks and drinks, let us settle in to do some work – and even fetched a heater to make sure we were comfortable whilst we waited for boarding. Finally, our boarding time was announced by the staff in the lounge and we wandered across the road into the station, boarded the train again – but this time we ventured to the dining cabin as soon as our bags were planted in our cabins. I enjoyed the most warming and delicious salmon and butternut squash curry with a cup of tea, and Mel had the cheeses and wine. We chatted for around an hour and then made our way back to the cabin to enjoy the last evening of our Scottish adventure. When we alighted from the Sleeper for the final time in London Euston, I looked back wistfully at the train that had taken us so far in an almost Polar Express kind of way. 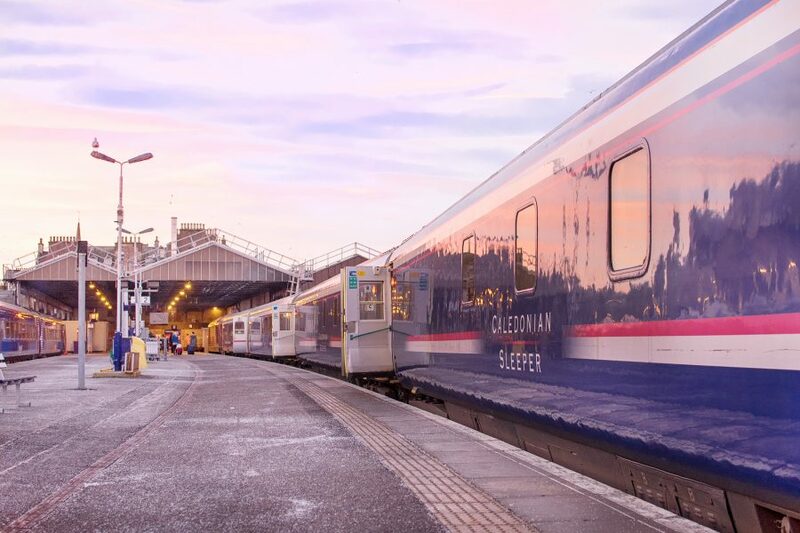 I quite fell in love with the Caledonian Sleeper, and I hope that when the refurbishments have taken place next year, we’ll be able to board again for another adventure. 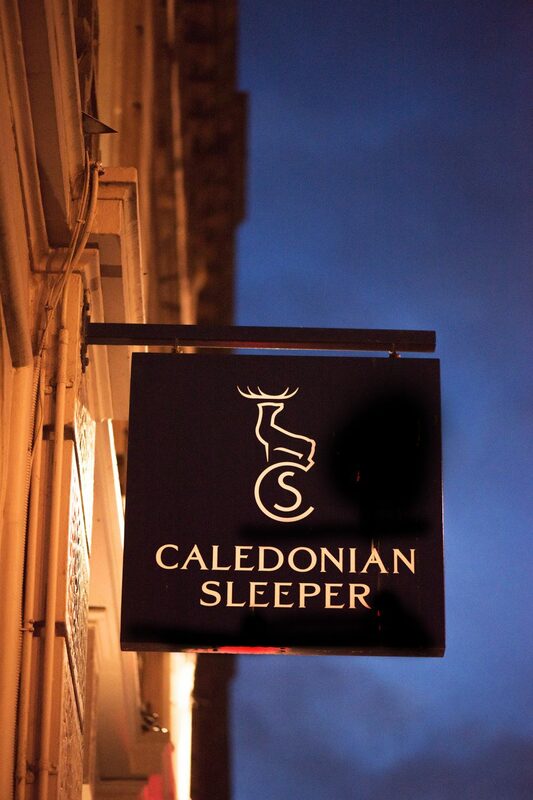 My sincere thanks to the lovely staff of the Caledonian Sleeper on each leg of our journey for not only accommodating us in such style but welcoming us as kindly as they did. We truly travelled in style.